Warnings are sent to air-traffic and shipping in an area about 200 km west of Stokmarknes in the Norwegian Sea in what seems to be a totally new pattern by the Russian navy; exercising in Norway’s Exclusive Economic Zone west and south of North Cape. A NOTAM (Notice to airman) is published for a square area west of Lofoten islands (marked red in the map below). “This is to inform you that the Russian navy plan to rocket test firings in the basin of the Norwegian Sea,” the warning reads. The announcement is valid for November 20.-22., Tuesday to Thursday this week. While the Soviet navy in Cold War times were exercising with live-shootings in Norway’s sector of the Barents Sea from time to time, such activities were not common west and south of North Cape in the Norwegian Sea. This November is first time in post-Cold War times that the Russian Northern Fleet announces live shootings in Norway’s Exclusive Economic Zone in the Norwegian Sea. Now, three live-shooting warnings have been issued so far in November. First time was for the period November 1.-3. outside Ålesund on the west coast of Norway. The area was in the middle of where NATO warships were sailing during exercise Trident Juncture. Vessels to be involved were Baltic Fleet warships en route to the Kola Peninsula where the Northern Fleet is based. No shootings, however, took place. The vessels just sailed through the waters Russia had announced for exercise. 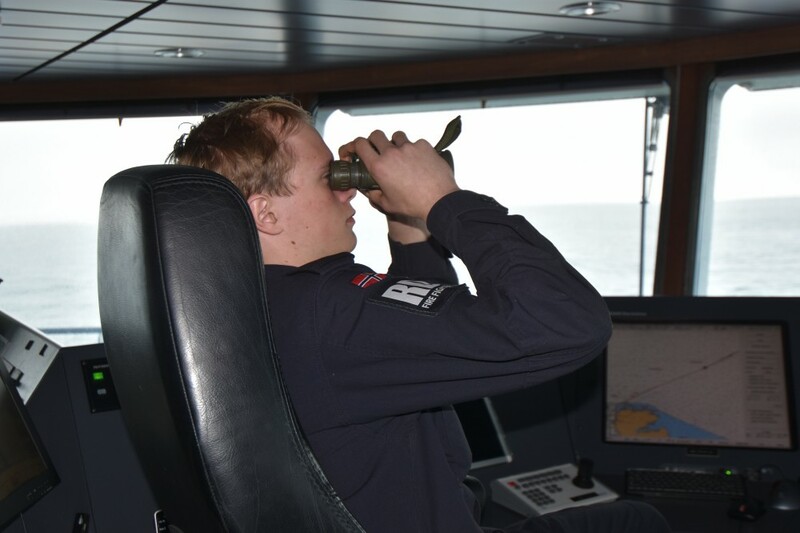 Then, in the period from November 6.- 9. some 20 to 40 nautical miles north of Berlevåg and Mehamn in Finnmark, another live-shooting exercise was announced. This time, the Northern Fleet vessels involved did what they said and launched rockets and conducted navigation training. Among the participating warships was «Pyotr Velikiy» - the world’s largest nuclear-powered missile cruiser. It is not clear which Russian naval vessels are sailing and possible exercising west of Lofoten islands this week. Navy vessels normally sail with their Automatic Identification System (AIS) turned off and can therefor not be identified via civilian systems, like MarineTraffic.com. MarineTraffic, however, shows the Norwegian Coast Guard Vessel «KV Barentshav» sailing criss-cross in the waters just south of where Russia has warned the shootings will take place. Press spokesman Lt. Col. Ivar Moen with the Joint Headquarters says to the Barents Observer that Norway monitors the activities, but decline to comment on whether there acutally are live shootings from Russian naval vessels in the area or not. «We can’t comment on other countries on-going activities,» he tells. «It must be for Russia to comment on their activities and safety measures taken for civilian shipping and air-traffic,» Ivar Moen says. «We are monitoring what’s going on,» the press spokesman assures. In the Barents Sea, other Northern Fleet ships are on exercise this week. Warnings published by Russia’s Sea Port Administration for Western Arctic show areas east of the Fishermen Peninsula where artillery shootings take place from November 21. - 23. Also an area north of Murmansk is marked for November 22.-23. Then, several areas in the White Sea and Barents Sea are closed off for civilian shipping this week, indicating either an ballistic missile launch from a submarine in the White Sea, or a space rocket launch from the Plesetsk Cosmodrome in Arkhangelsk region. In both cases, the second fuel-stage of the missile will fall off and hit the water. Exclusive Economic Zone is the waters prescribed by the United Nations Convention on the Law of the Sea over which, in this case Norway, has special rights regarding the exploration and use of marine resources and minerals exploration. It stretches from the baseline out to 200 nautical miles from the coast. Other countries naval exercises inside a state’s exclusive economic zone is not regulated by the United Nations Convention. Officially, Norwegian authorities are not too concerned about what the Russian navy now does. «The reported activities take place in international waters and air-space. The exercise is notified in accordance with established practice,» says Senior Advisor with the Ministry of Defense, Lars Gjemble, to the Barents Observer. «From the Norwegian side, we take notice of of this and monitor the Russian activity,» Gjemble states. The waters west of Lofoten island is in the north-south shipping lane for vessels sailing the coast of Norway, also those en route to and from Murmansk. The waters are important for fisheries.